Part: # 00204 Size: 32 oz. BlueDevil Radiator Flush restores efficiency to vehicles by helping remove grease, rust, grime or any other build up that occurs during normal vehicle use. Our specially formulated coolant flush works well in all vehicles, especially those with high mileage warranting a deep flush. Flushing your cooling system with BlueDevil Radiator Flush will impact your vehicles performance and add life to your car! When radiator is cool, remove cap, open draincock and drain cooling system. Collect used antifreeze for disposal. 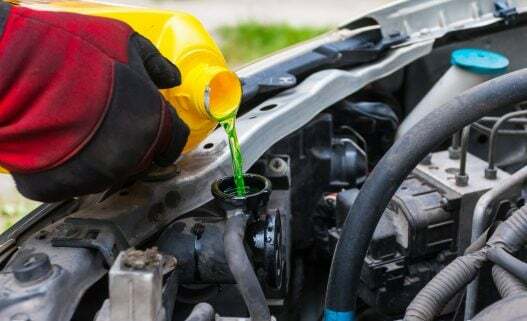 When disposing used antifreeze/coolant, please follow local laws and regulations. Close radiator draincock and fill cooling system with water. 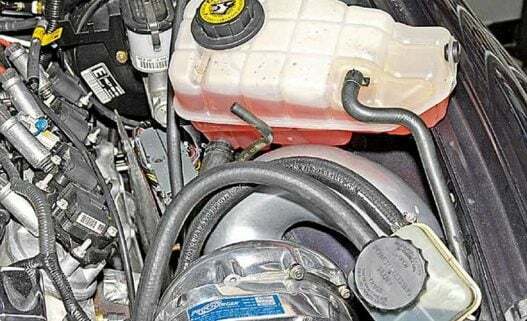 Reinstall radiator cap and run engine for 10 minutes with heater on max. Turn off engine for radiator to cool. Close radiator draincock and add BlueDevil RADIATOR FLUSH. Top off cooling system with water while motor is running. (Product services systems up to 12 quarts.) Replace radiator cap. A. For only flushing your radiator, run engine with heater on max for 10 minutes.B. For deeper radiator cleaning, drive your vehicle for 3-6 hours at normal driving conditions or intermittently over a period of a few days, if weather permits. Do not let the cooling system temperature fall below 32 degrees F.
Allow engine to cool. Repeat drain procedure (Step 1). Flush cooling system thoroughly with water until all cleaner is removed. Close drain and install required amount of antifreeze. Our concentrated formula treats cooling systems up to 12 quarts. 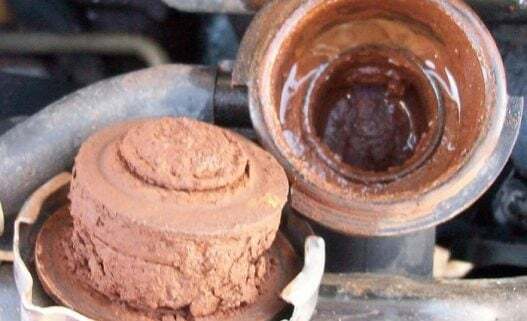 Is flushing my cooling system necessary? If you are installing the 32 oz. BlueDevil Head Gasket Sealer, flushing your cooling system is mandatory prior to install. 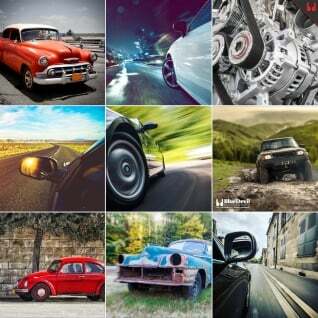 Most mechanics recommend a routine flush every 40,000 miles. Can this be used in vehicles that have aluminum radiators? Yes. 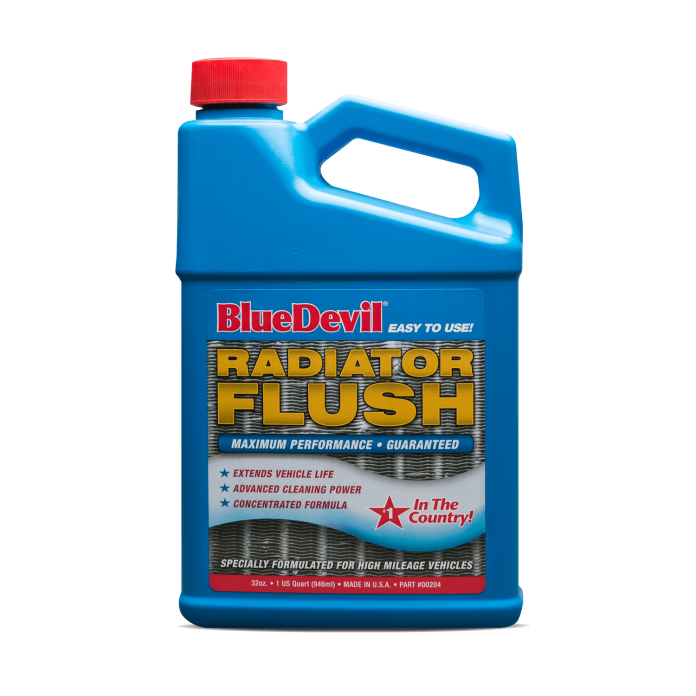 BlueDevil Radiator Flush is safe for all cooling system materials including aluminum, copper and plastic. Do I have to drain the cooling system prior to adding BlueDevil Radiator Flush? Yes. As the instructions state, you should drain the cooling system and refill it with water before adding BlueDevil.